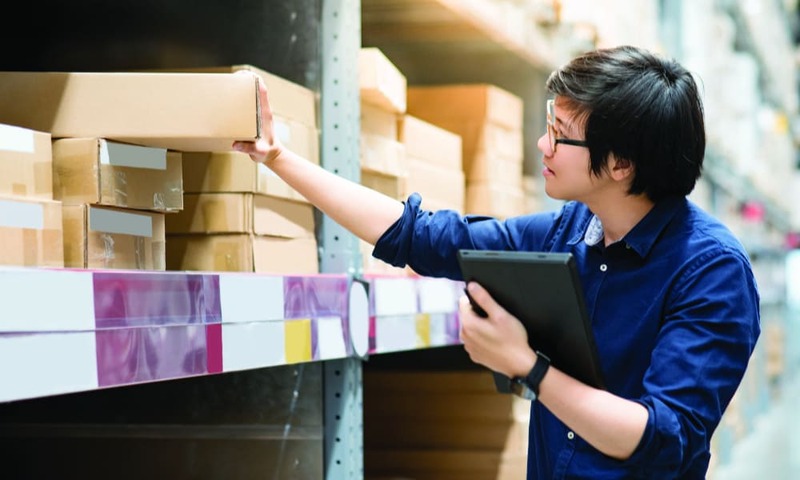 Inventory is the lifeblood of any business that isn’t service based. It’s what keeps your business going and makes your customers happy. But even thriving, profitable businesses can find themselves in need of extra funding sometimes. If your business could use some extra money and you have a warehouse or storeroom full of unsold inventory, inventory financing may be able to help you get the money you need. Inventory financing is an asset-based loan that’s based on the value of some or all of your inventory. The lender provides a loan for a percentage of your inventory’s value and the inventory itself serves as collateral for the loan. In some cases, business owners use inventory financing to purchase inventory, but it can also be used for many other types of business expenses as well. Inventory financing is most commonly used by businesses that consistently have very large quantities of inventory, such as retailers, restaurants, and wholesalers. Since these loans are secured by the inventory, lenders are able to put less of an emphasis on your business credit score, making them easier to obtain for businesses that aren’t able to get funding through a regular business loan. This method of financing can also be faster to apply for and easier to obtain than a business loan. Although inventory financing can be secured by the inventory itself, the lender may ask for an additional form of collateral in some situations. A lender may want to come out and see your facility in person to make sure the inventory being financed is being taken care of so it won’t be damaged or depreciate in value before it’s sold. Typically, onsite visits involve a fee that you will be responsible for paying. Lenders generally only provide financing for a portion of your inventory’s value, not the full appraised value. There are two main types of inventory financing: an inventory loan and an inventory line of credit. An inventory loan is simply a loan based on the value of your inventory. While the funds from a loan can only be used once, an inventory line of credit can provide you with extra money on an ongoing, as-needed basis. Many business owners like having a line of credit available to them so they’re able to handle any unforeseeable expenses that may come up. Inventory financing hinges on the inventory being sold in the near future, so lenders will want to see things like your business’s sales history, P&L statements, and sales projections. Lenders will also want to see that you have an excellent inventory management system in place so they don’t have to worry that you might be buying more inventory than you really need and are able to sell.